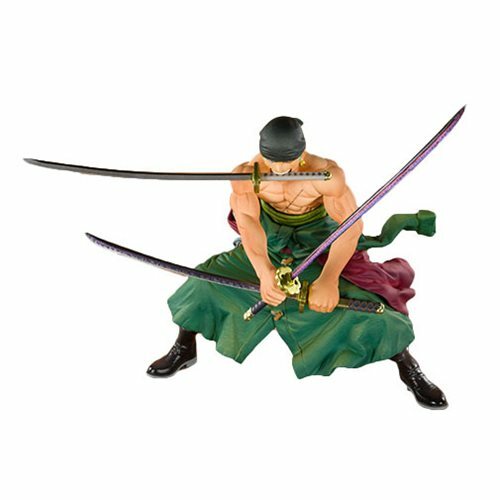 From the hit anime One Piece comes this FiguartsZero statue of Roronoa Zoro. The One Piece Pirate Hunter Zoro FiguartsZero Statue features Zoro with his fierce gaze, muscular body, and triple-sword attack! Measures about 4 3/10-inches tall.